an exciting ninth and solid wax pebble. 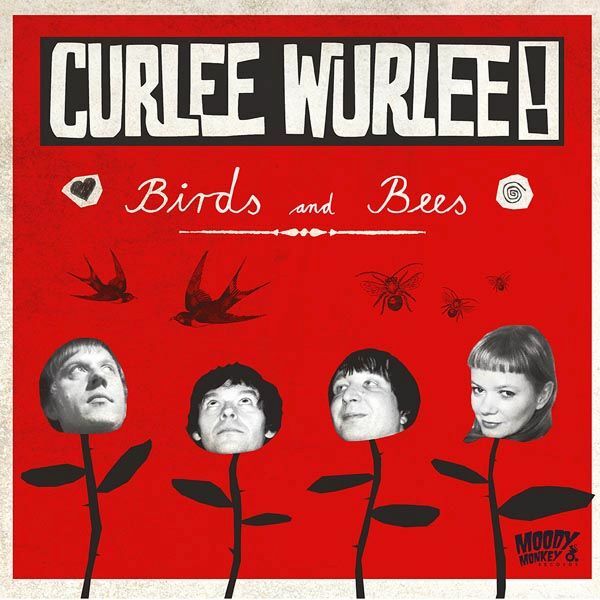 Although the Curlee Wurlee! Song-writing is recognisable among tons of others, I'd try to make it short and etiquette A-side super-tune "I don't like you" as a punkrock original in English, while "Toudoudou" sung in french language sounds like a poppy radio sing-along tune to me. And for the second time in their career, they gave copaseDisques a song in German: "Tripsi Woman" is a brilliant adaptation of "Gipsy Woman" written by Joe Burnette and Dorsey Wosborn, but inspired by the wonderful Australian moody combo of the 60s: The Allusions. It is all about Garageville DJ Tripsi's drink named after him. If this song doesn't turn into the official drink's soundtrack, I swear I will cut my beat haircut and eat my shorts. 14 brilliant, sizzling garage songs that give YOUR ears and mind a roller-coaster ride of the best up to date pop and garage sounds. Artworks by Kai Becker! 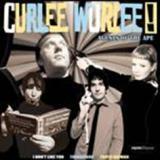 Back to 1999: LARSEN are the first to release CURLEE WURLEE! on vinyl. 2011: meanwhile everybody knows the band which is more alive than ever, and here we go with a new 7" featuring two originals by our favourite German/French/English garage heroes! 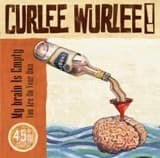 Their smashing hit "My brain is empty" came out this year on the sensational longplayer "Curlee Wurlee Likes Milk". And this 7" presents the obligatory PIANO version of it (instead of organ), and is anchored in the good ol Kinks story-telling tradition: it could have been composed by Ray Davies in 1966, but it hasn't... instead, it was written by Cecile Musy (better known as Organella), and is a disillusioned hymn full of booze and macabre irony indeed. B-Side "You are on your own", was written by Axel Oliveres (alias Teen Axel), and is a mod & Mersey beat influenced smasher, featuring an asskicking drums verse. It is limited to 500 exemplars only, so you gotta get that record in your collection before you regret it!